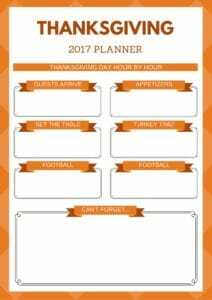 How to Prepare Your First Thanksgiving Dinner - Working Mom Blog | Outside the Box Mom Unlike Thanksgiving 2012, I will be preparing dinner this year. Usually we eat dinner with family at one of their homes. My grandmother has cooked and hosted our family’s Thanksgiving dinners for as long as I can remember. No one was allowed in the kitchen. Don’t offer to help, because she’ll just turn you down. For the last couple of years, as her health has deteriorated, we’ve had dinner at my Aunt & Uncle’s. All in all, for over 30 years, all I’ve had to do was show up, eat, and go home with leftovers. This year (a couple of months ago to be exact), my husband asked me to cook Thanksgiving dinner. First. time. ever. So. 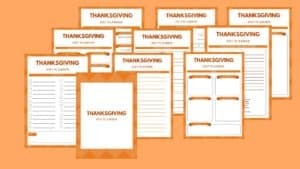 Here’s my plan for preparing my first Thanksgiving dinner. Out of my menu of 10 items, I am taking shortcuts on 7 of them – only making about 3 homemade items. Grandma’s corny corn bread Stay tuned for this recipe. It too will be worth the wait. Total time saved: over 11 hours! I should be able to pull this off in 2-3 hours. 4. 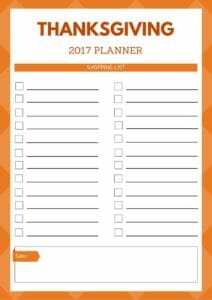 Make a list of all the items needed. 6. Check the cabinets to see what you already have. I’ve read that if this is your first time preparing a full Thanksgiving meal that you should do a trial run instead of making your guests eat your experiments. Well, I’m sorry, I will not be taking that advice. For one, I will not be hosting any guests, unless some strays happen to stop by. Then, “beggars can’t be choosers.” Second, I don’t have time, money, or food to waste on trial and error. I’m not preparing anything too exquisite, so I will have to hope that I don’t burn anything and that I can fix the seasoning on anything as needed. I’m with you, no trial runs! Who can afford that? We usually do a pot luck, with the host making the main course and everyone else being assigned salads, desserts, drinks, sides. However, this year, I don’t know quite what that looks like since our families are fractured. We usually do a potluck as well. But this year my husband and I are on our own since we moved out of state for his work. The good thing is, I am cooking my first Thanksgiving dinner for just my husband. And he is not picky! 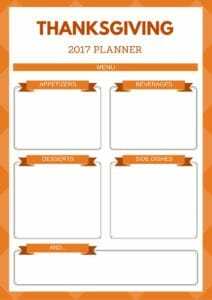 I make a plan every year and I keep it in my files, so I can just pull and go! And I take a lot of shortcuts, too. Great tips! Even with a few Thanksgiving dinners under my belt, I still get nervous. Cooking your first holiday meal can always be a bit intimidating. Thanks for sharing with us on the #HomeMattersParty this week. I hope you join us again next week.